Over the time that I have ran MGR Music Tuition Ltd, since launching it during my first year studying at the University of Exeter in 2009, I have always been limited to generating enquiries for music teachers located in large cities across four instruments – guitar, singing, piano and drums. This restriction put a top limit to the size of the teaching community that I could grow, indeed, as of 2017 we are almost at full capacity in terms of teaching community I can grow within the UK. This is why over the last 12 months I have been so keen to develop a national platform to enable me to generate enquiries for teachers located anywhere in the UK, across all possible instrument types. After months of negotiations I finally managed to acquire and then develop a new national database of active music teachers in the UK and Ireland called MusicTeacher.co.uk – it is designed so that students can select the type of instrument that they want to learn and then enter their postcode, with the search results providing them with teachers that are the most local to them. 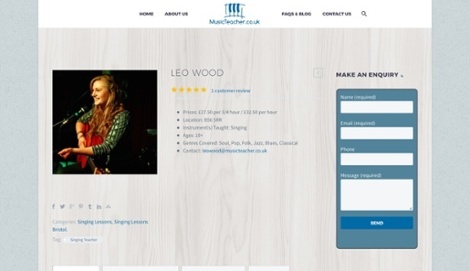 Music Teacher is a new national database of active music teachers located throughout the UK and Ireland. Having researched a lot of the other music teacher databases in the UK, I have found that they lack some of the critical information that can help inform students as to whether the teacher is suitable to teach them or not. For example information as to whether a teacher holds a valid DBS Check, up to date public liability insurance, or has the necessary qualifications and teaching experience to tutor to a professional level. I made sure, therefore, that all of this information would be included in every one of the tutor profiles featured throughout the website. Students can also leave reviews of teachers which is a fantastic way for teacher to build up an online reputation of providing high quality music tuition, that is then presented back to future students. 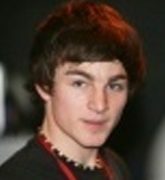 Leo Wood’s Music Teacher profile, including a customer review and information about whether she is DBS Checked, has public liability insurance and relevant qualifications. Over the website provides a brilliant platform for me to continue to build a community of music teachers, as well as expand into new locations like Piano Lessons Bristol, Guitar Lessons Manchester and Singing Lessons London. It is also incredibly exciting to be able to grow the community to include saxophone, violin and other music teachers of all instruments – including some of the more unusual instruments like ukulele, djembe and cajon. 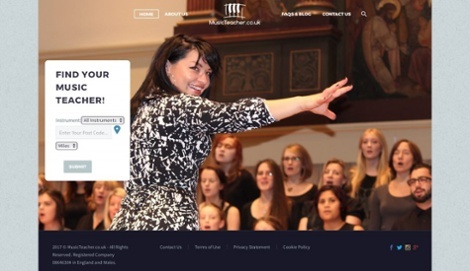 My ambition for the Music Teacher website is to develop it over the next two to five years into the leading platform to find music teachers in the UK and Ireland.